Please contact our Front Office Coordinator to schedule an appointment. If you have additional questions, the Front Office Coordinator is your first resource for answers regarding scheduling, exams, optical materials, and delivery time. 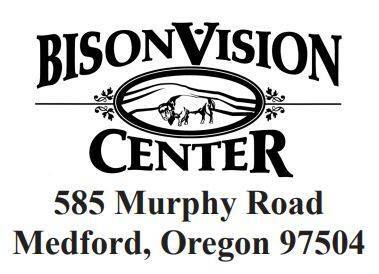 If you have additional questions, please feel free to contact us at bison@bisionvisioncenter.com. Our Optician will guide you through the process of finding fashionable and attractive eyewear within your budget and assist with contact lens training and dispensing. For any questions related to prescription eyewear, sunglasses or contact lens contact our Optician at 541-773-1414. We contract with a medical billing service to ensure accurate and timely processing of your insurance claim, whether for annual exams, office visits, lens, frame and contact lens coverages. While we contact your insurance company regarding benefits and coverage, we strongly recommended that you contact your insurance provider to obtain your co-payment information and responsibilities prior to your appointment or services renderered. For billing questions, please contact Medical Management Support Services at 541-664-5155.